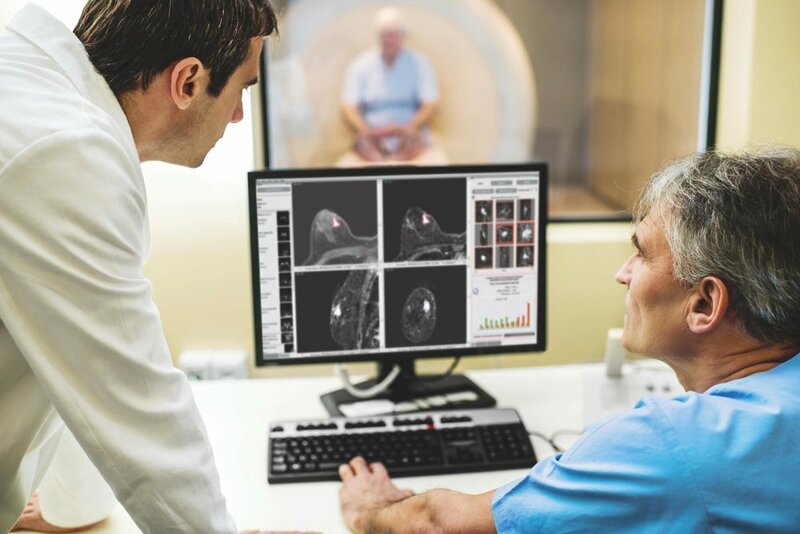 QuantX harnesses the power of artificial intelligence to assist radiologists in the assessment and characterization of breast lesions. Developed in the labs and clinics of the University of Chicago, QuantX addresses critical needs of patients, clinicians, and practice administrators. When interpreted by a skilled physician, QuantX provides information that may enable faster and more accurate diagnosis, individualized treatment, and improved outcomes. The team behind QuantX believes that historical case mining and machine learning offer an opportunity to provide radiologists with information that may be useful in the characterization of breast abnormalities. QuantX is powered by machine learning artificial intelligence and trained by a large reference database of abnormalities with known ground truth. Key features of QuantX include the display of similar cases and the histogram of known lesions for various analytic features. QuantX Advanced includes the QI Score™, a metric computed by an artificial intelligence algorithm synthesis of certain imaging features. A clinical study demonstrated a statistically significant improvement in reader performance diagnosing breast cancer when QuantX is used in breast MRI interpretation. Sign up for a private demo to learn more about QuantX.